Minimal barriers to trade and access to skilled talent must be high on the Brexit wish list for owners of small and medium-sized businesses. As Brexit negotiations continue, it is important that trading between the UK and Europe is kept as open as possible, and businesses need to make the politicians aware about the potential damage of a poorly-negotiated exit from the EU. Most businesses owners I deal with would prefer to see the UK remain in the single market. But they are split on whether Brexit will have a positive or negative impact on their businesses in the long-run. Regardless of their position, most agree that uncertainty is affecting their business now. Many smaller businesses are already feeling the pinch from a volatile pound, making imports of materials more expensive. I have no doubt that unless we go for a ‘soft’ Brexit, those firms trading internationally, risk losing existing customers to competitors within the EU. From my point of view, the answer to what kind of Brexit would benefit entrepreneurs most is, superficially, a fairly simple one. A Brexit that’s clear, regardless of where on the scale of hard or soft it lands. 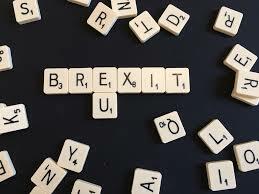 If you have concerns about the potential impact that Brexit night have on your business and would like to discuss some options for your business to mitigate the associated risks, then please contact us on 02476 231000. July 22nd, 2016 | Comments Off on Brexit Means Brexit – But How Will That Affect You?